The Rivers of America in Frontierland are comprised of the Hudson, Mississippi, and the Colorado. 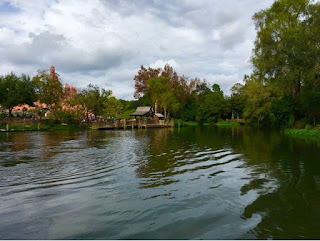 Guests have to cross this body of water by raft to get to Tom Sawyer Island. I took this shot from a raft a few weeks ago.